Outsource image offers Digital Collage Services, Collage creation services for your precious memories through our photo editing services. Our experienced and talented graphic designer’s team makes custom and awesome picture collages for any moment using your images, digital portraits, photographs, marriage or types of invitations and other documents. Digital Collage Services will give forth an unbeatable Image Enhancement techniques on your images. Instead of giving a meaningless gift has forgotten very soon to whom you are given. Hence, create a picture collage for your loved ones that will be memorable forever. There is no gift more mindful than a custom picture collage; it represents a lifetime of memories. 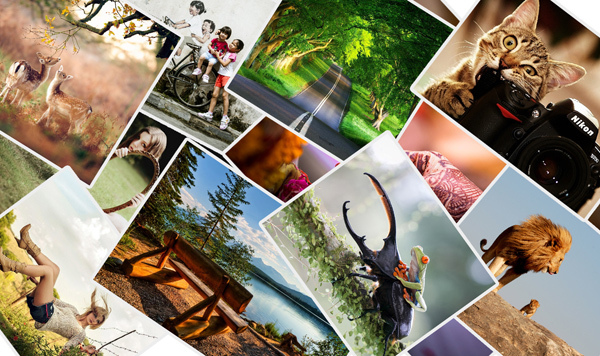 Our experts are having very much experience in creating picture collage which is admired and cherished for life long. Every photo collage is individually designed into an illustrated treasure according to your stipulations. Every Collages Services is specially personalized to match any space and budget. Including this service, we also provide color correction, and we can restore and repair your treasured or old photo memories to looking like they have been taken yesterday. Create a lifelong impact when you want a present idea for a ceremony or a surprise birthday gift. A montage or picture collage is a truly exclusive, creative, valuable and thoughtful gift for your loved one as well as family members. Whether you are thinking of an idea using your old photographs, ceremony present, wedding day gift, Christmas surprise, graduation gift, family reconciliation photographs, and gifts for father’s day, mother’s day, teacher’s day, children’s day or just an exclusive gift idea to give someone. Let us create a photo collage for you always cherish and remember. Our photoshop expert team can understand your imaging needs and provide a service with an affordable time period.